Turn your gallons into dispensers! Griot’s Garage Dispensing Spout allows you to buy in bulk and not have to worry about spilling product! 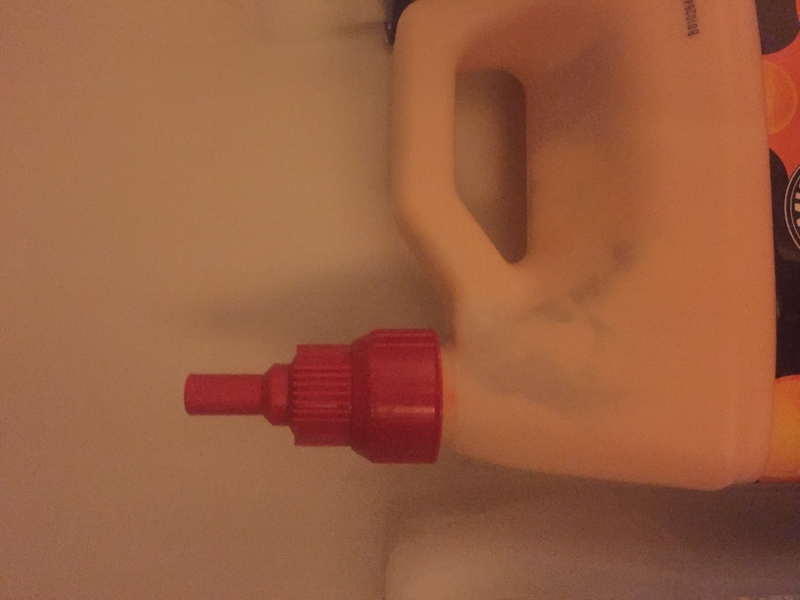 This ingenious piece fits perfectly onto your large gallon containers and allows you to easily dispense product into a smaller, more convenient bottle. Say goodbye to wasted time and money, and say HELLO to a clean product transfer! Griots Garage Dispensing Spout features a narrow nozzle that fits perfectly into the top of your smaller detailing bottles for a smooth transition. The easy twist open and close allows for quick refills while and the go and reduces spilling. Griots Garage Dispensing Spout has great flexibility and works with a wide range of products – be they liquids or viscous compounds and polishes, the Griots Garage Dispensing Spout will help you transfer from gallon to 16 oz. bottle with no fuss! This handy little tool is a must-have for professionals that tend to buy in bulk quantities! Autogeek Squeeze Bottles 6 Pack New & Improved Design! I purchased this spout to use on my gallon wax bolltle to distribute to smaller 8oz bottles and it works flawlessly. I just ordered a few more for my soap bottles. I love this spout. It's obviously great for products you buy in bulk, like detail sprays. You don't need a funnel and the opening/closing is a snap. I have not tried it with thicker liquids, but I imagine it should be fine. This is a product that everyone should have in their garage.